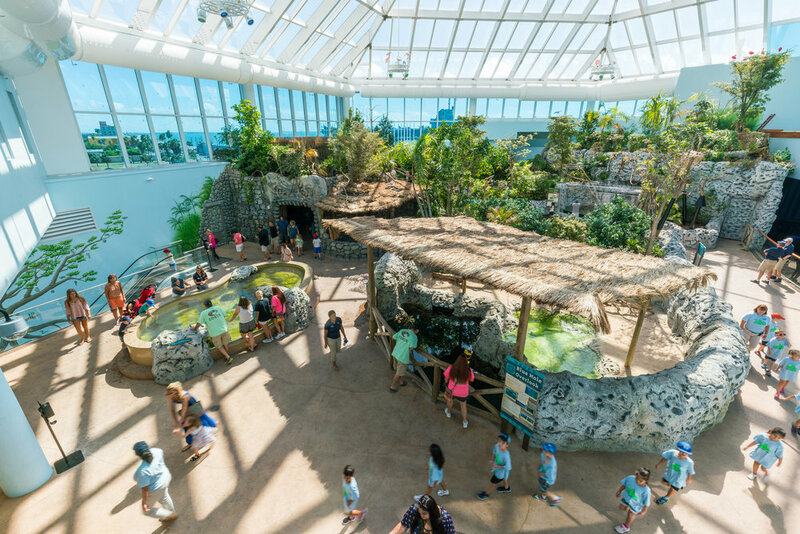 The Caribbean Journey represented a significant expansion of Texas State Aquarium, which doubled in size, while also increasing stay time, and provided a more diverse overall visitor experience. 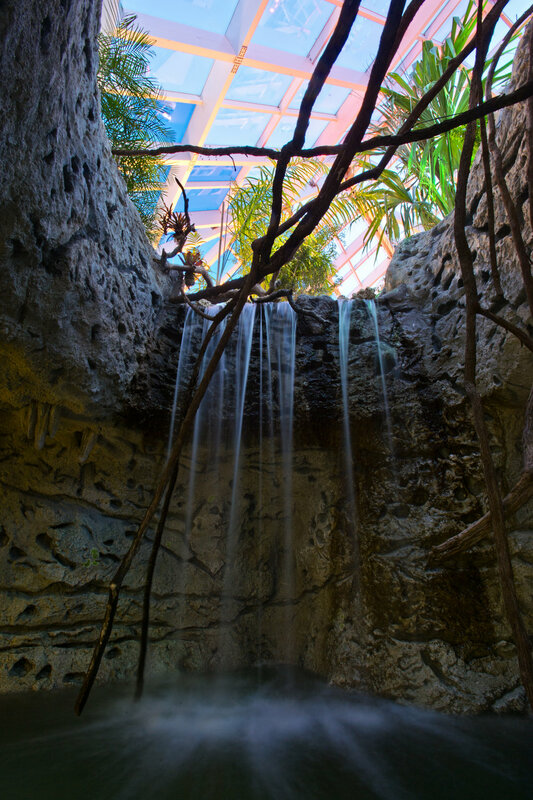 The exhibits were developed as a 2-level experience, with coastal forest, fresh and brackish water habitats, and overlooks on the upper level – all within a glass conservatory space, followed by a descent to the lower level where visitors encounter a variety of tropical marine exhibits including a 30,000 gallon Caribbean coral reef and an adjacent 40,000 gallon blue hole exhibit. 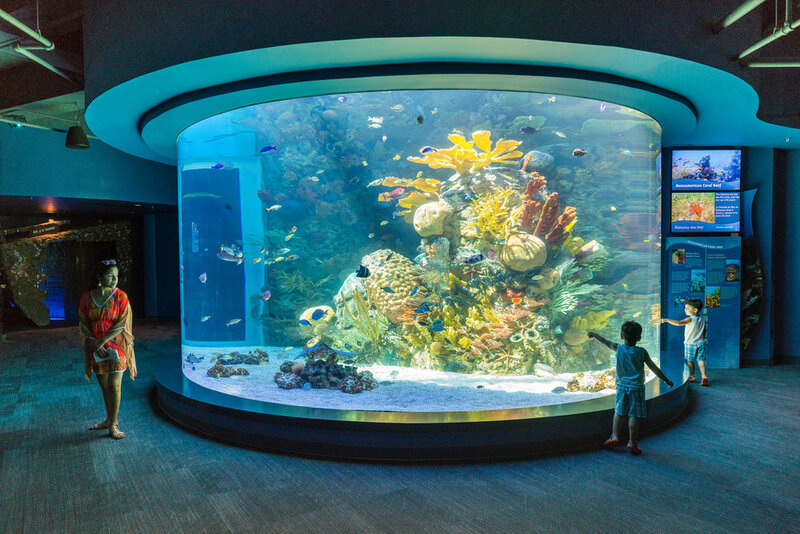 The feature exhibit is the 400,000-gallon Caribbean Sea exhibit that is supported by a viewing theater and underwater media presentation. A 4D theater and special exhibit gallery complete the public attractions within this expansion.